The newest Carlsbad Art Wall mural was painted this past weekend, January 19 and 20, by Sarah Spinks, and what an enjoyable and colorful view it is. 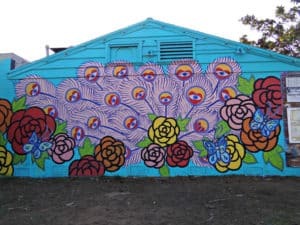 In case you are not familiar with the Carlsbad Art Wall, it’s a public art collaboration between Carlsbad artist Bryan Snyder and Senor Grubby’s, a popular Mexican restaurant in the Village on the south side of Carlsbad Village Drive. I believe the first installation was in early 2015 and the Wall changes every few months. As you head to the beach on CVD look to your left just past the train tracks…you can’t miss it. The Carlsbad Art Wall artists are very diverse in style, many of them with pretty respectable reputations in our area and in Los Angeles as artists. And it’s pretty common to see a number of locals and visitors gathering to watch the muralists engaged in their work as the murals take shape on Senor Grubby’s wall. 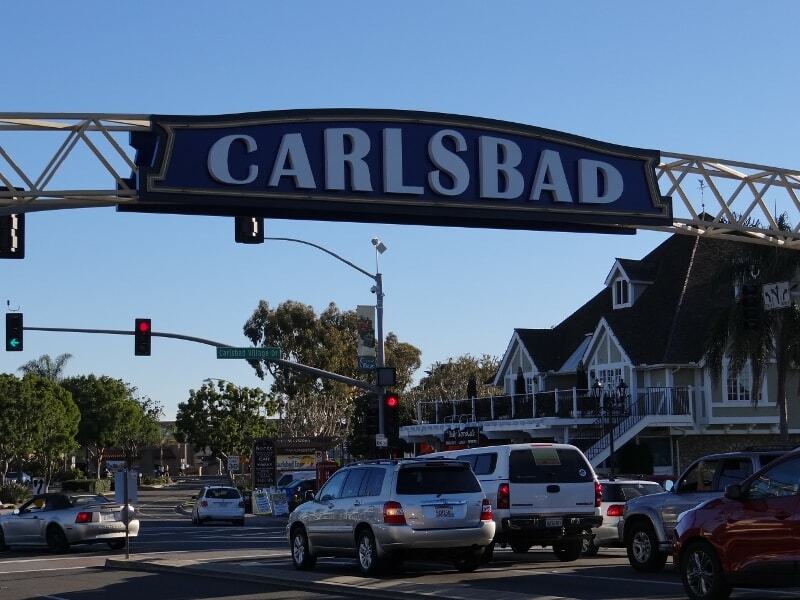 Carlsbad has a growing reputation for the visual arts, public and otherwise, and the Carlsbad Art Wall plays an important role for Carlsbad as an arts community. Do you have a favorite piece of public art in Carlsbad?